The best-selling Blu-ray Disc as of Aug. 29, 2010 is the 5-disc box-set Lost: The Final Season, that according to Home Media Research and Nielsen VideoScan. 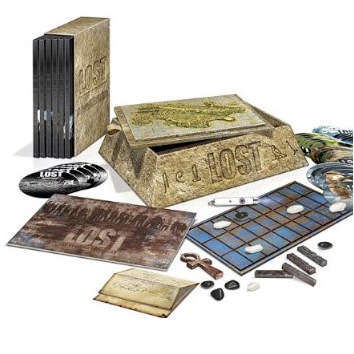 Coming in second place is another Disney LOST release — Lost: The Complete Collection -– a 36-disc set which includes a full disc of never-before-seen content and plenty of LOST paraphernalia including an island replica, episode guide, collectible ankh and black light. The third best-selling Blu-ray Disc ending Aug. 29 is Hot Tub Time Machine starring John Cusack and Clark Duke, followed by The Back-Up Plan with Jennifer Lopez. Holding in fifth place after weeks of being in the best-selling chart is James Cameron’s Avatar.